• This tour involves long distance but the scenery is beautiful along the way. 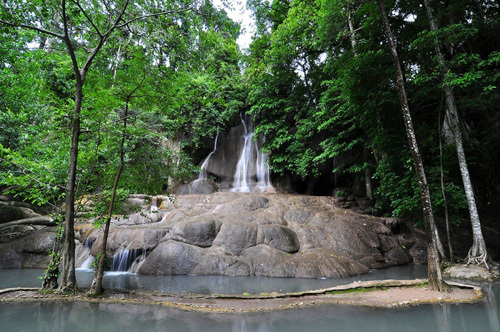 Please note Sai Yok Noi Waterfall can be visited all year round but is at its peak during late rainy season (Sep and Oct). During the dry season the water might be low or dry out (Feb – May). 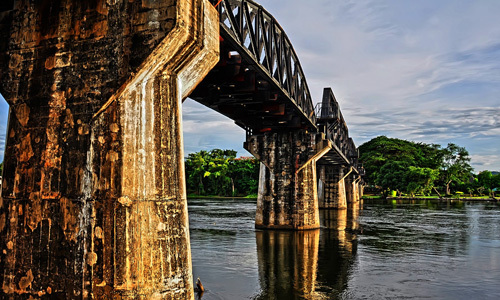 The Bridge Over the River Kwai, which was built during the WW II next to the town crossing the Kwai river, is a picturesque site. 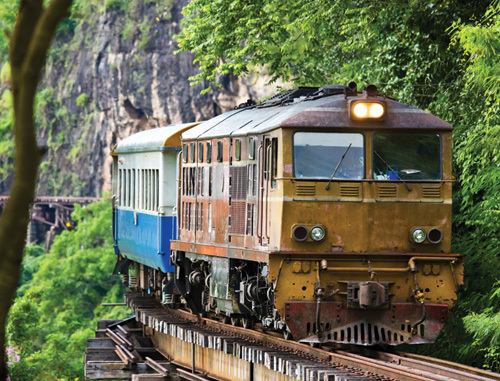 The bridge is the main feature in the famous 1957 Academy award winning movie The Bridge on the River Kwai. 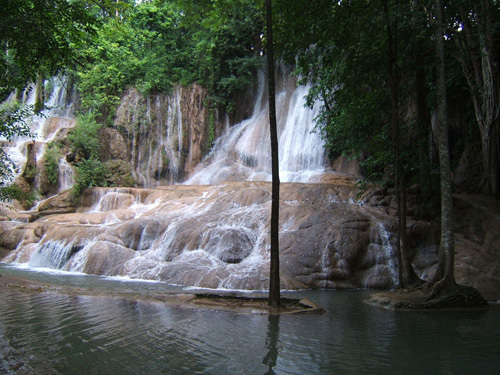 Next on the way visit Sai Yok Noi water fall. It’s a part of Sai Yok National Park. The fall is a short walk from the road. There are many food and souvenir shops at the fall. Since the fall is a short walk from the road it may have lots of people especially on the weekend but the fall can be overflown with lots of water during the rainy season (beginning in June and peaking in late October) so it still makes for an interesting place not to be missed. During the dry season it’s not as spectacular but still a good place to stop, relax, have some drink and snack, and to get the overall jungle feel and take in the valley scenery around the area. Then visit the Hellfire Pass Museum. The museum sits on the ridgeline above a man-made pass through mountains, thus the name Hellfire Pass. 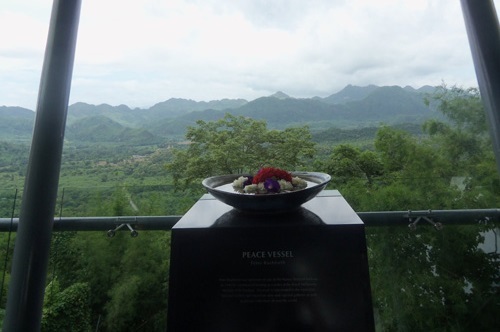 Outside the museum one can enjoy beautiful view of the valleys of central Kanchanaburi. Inside the museum the displays excellently portray the building of the pass, and the death railway in general that was meant to cut through Burma for the Japanese troops in their WW II effort. The museum gives visitors vivid descriptions of the terrors and can really make for a moving experience. 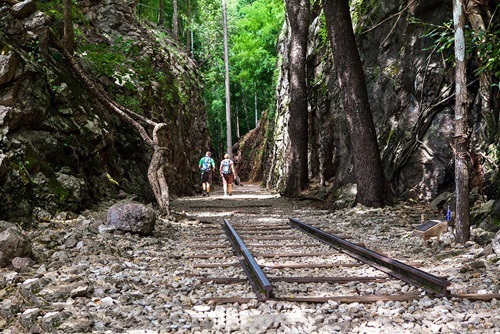 You can also hike along the trail which takes you along the actual Hellfire Pass itself below the museum. The scenery is beautiful and the story is moving. Bring along your hat, sneakers, and drinking water and immerge yourself in an experience you won’t easily forget.